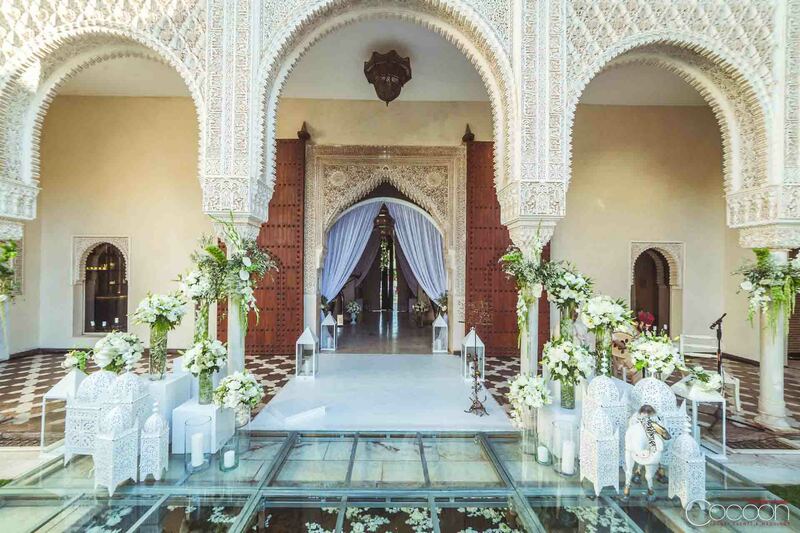 A love and appreciation for the region’s culture and religion brought Sirin and Jason to our North African oasis of ancient beauty, and to their epic wedding adventure in Morocco. 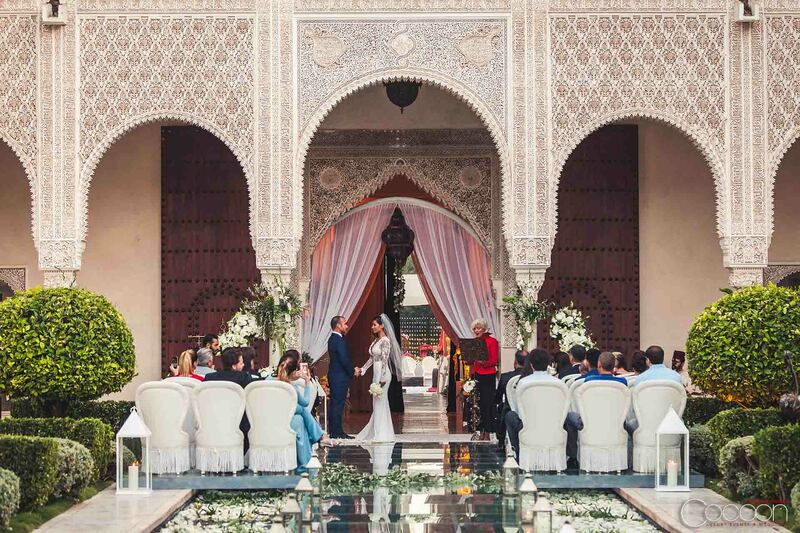 We expertly staged the couple’s intimate ceremony inside an ornate palace. 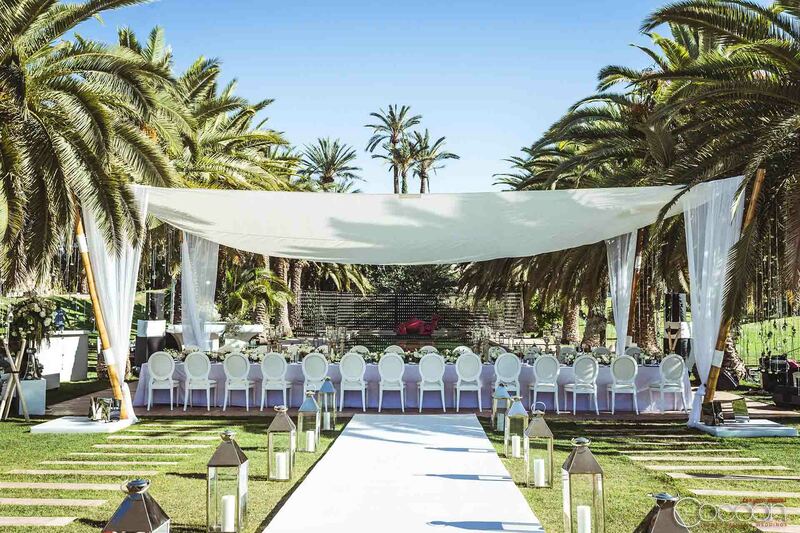 The aisle hovered above a crystal blue reflecting pool for a dramatic, magical entrance that defied reality. After the ceremony, the happy newlyweds practically floated back down the aisle together to start their new lives as one. 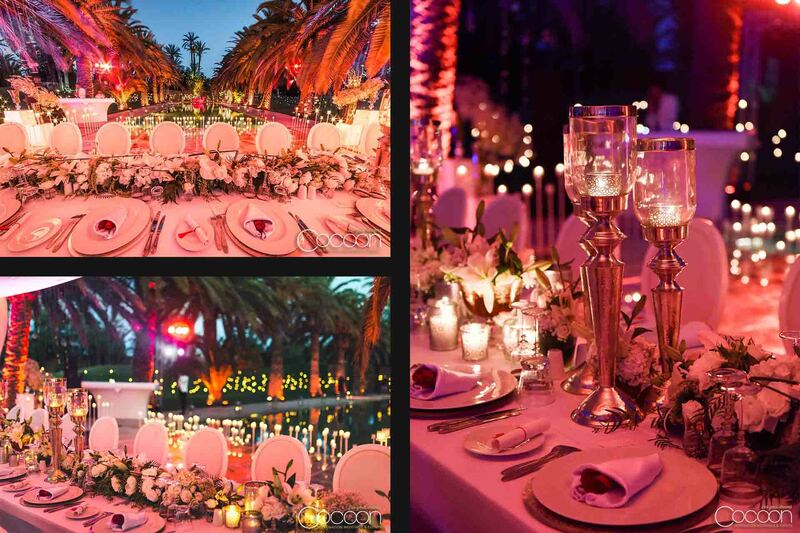 The design of all of the couple’s events was heavily inspired by the local culture, with an emphasis on stimulating the senses and creating experiences Sirin and Jason’s guests would never forget. We wove the textures, flavors, aromas and unique sounds of Morocco throughout their celebration. 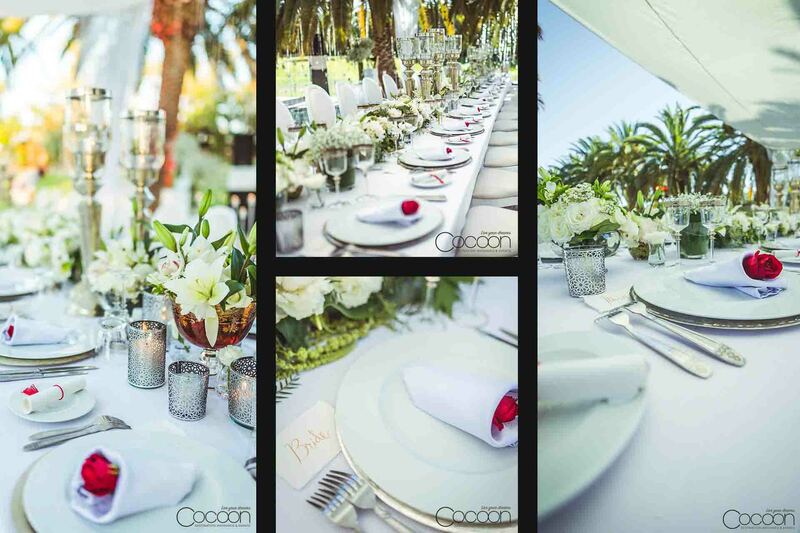 For dinner, guests were seated at a single long table piled high with mounds of white roses, accented with silver votive cup holders and the occasional cluster of taller candle holders to add more romantic candlelight to the scene. 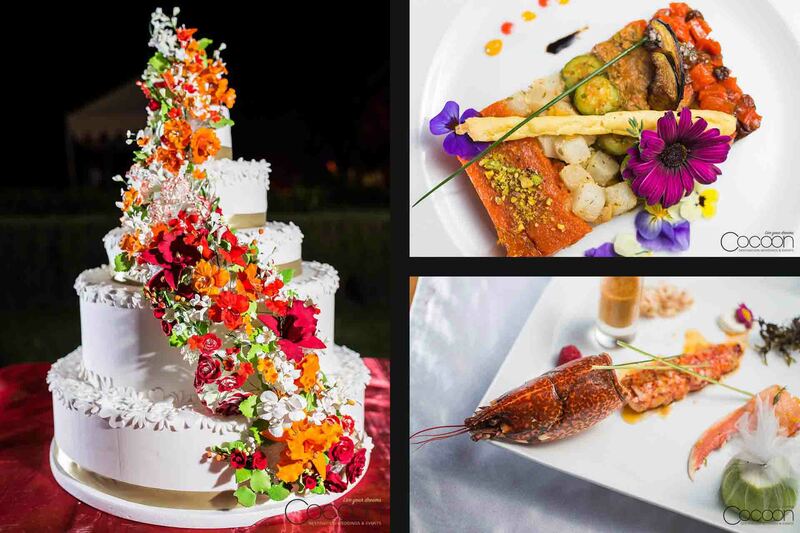 They dined on multiple courses of locally-inspired dishes with premium ingredients like fresh-caught lobster. 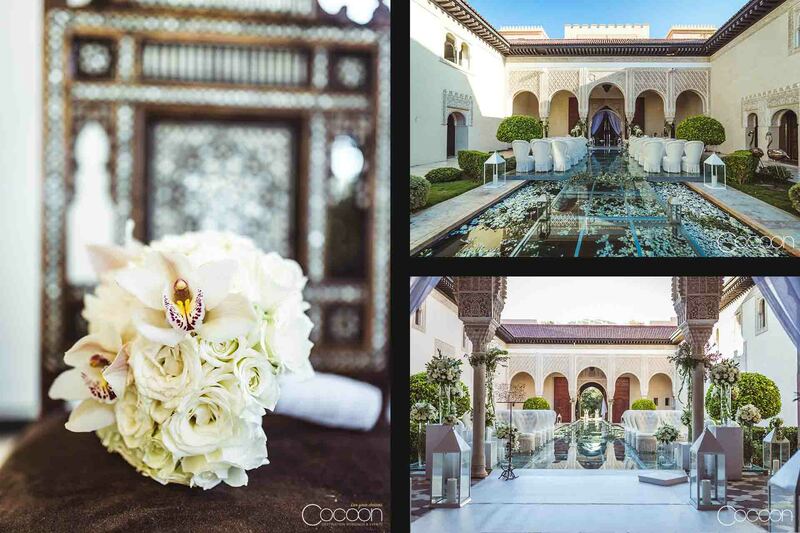 Before they exchanged their vows, Sirin and Jason explored one of the highlights of any trip to Marrakech:, the Medina. A UNESCO World Heritage site, known as the “old town,” as it dates back to the 11th Century, is a lively, open-air marketplace that has forever been known for trade and exotic shopping experiences. Nestled in the Red City, the souk features intricate lanterns, rich fabrics, artisanal woodwork and polished ceramics. Interaction with the local vendors is part of the attraction and negotiation is not only tolerated – it’s expected! Getting a good deal in the souk is an art. You must make friends with the vendors first to know that you’re getting a great deal! 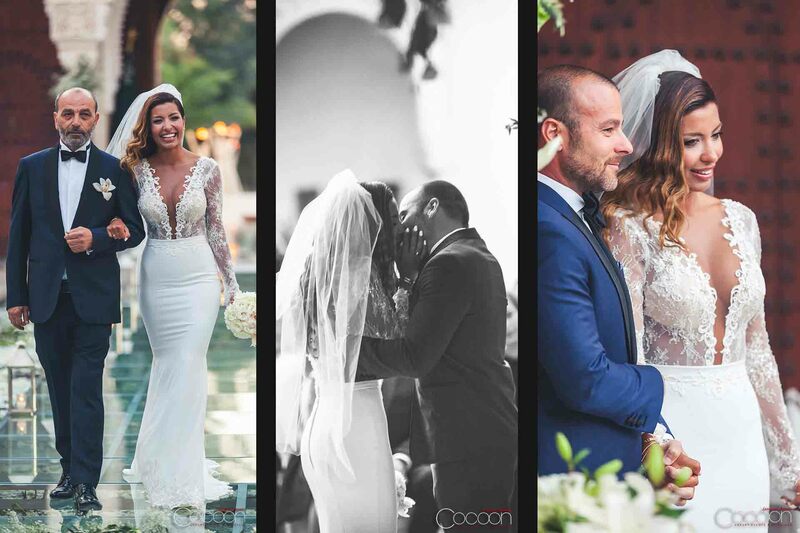 Sirin and Jason love the interaction and count it among one of the best experiences of their time in Marrakech. 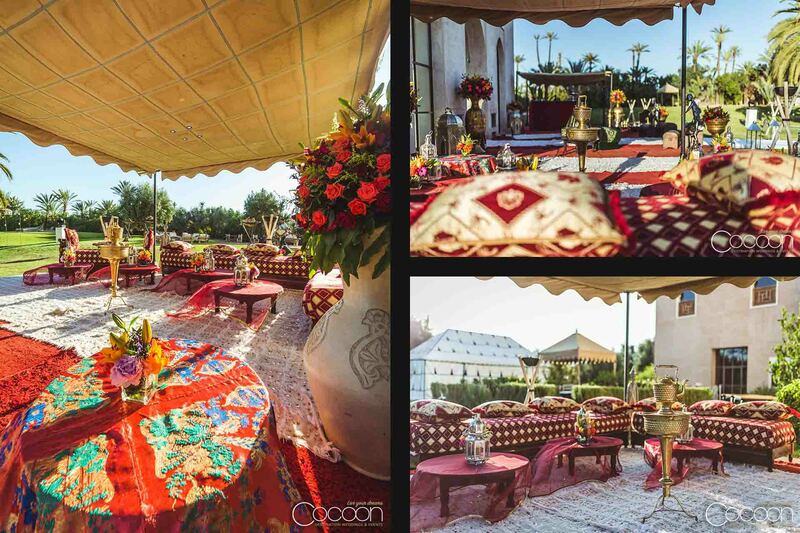 We were so pleased and honored to be part of Sirin and Jason’s wedding adventure in Morocco.